A trip to Cambodia can be pretty intense. Monkeys run through ancient temples that seem to grow out of the jungle. There are no conventional traffic rules. In fact, sometimes it seem like there really aren't any rules at all — at least not the ones that we follow in North America. It isn't rare for an elephant to try and steal your lunch while you dine on an outdoor patio, and there are still land mines everywhere making it unsafe to wander off beaten paths. In order to make the most of any trip to Cambodia, you have to understand the not-so-pleasant history of the Khmer Rouge (aka why there are land mines everywhere). The Khmer Rouge ruled Cambodia from 1975-1979, and was one of the most lethal regimes of the twentieth century. Through their methods of agrarian communism, they had the entire country working on collective farms, or forced labor projects, growing food that they were not allowed to eat and watching their families die around them. The regime killed anyone in connection with the former government, professionals, intellectuals, anyone wearing glasses, non ‘pure’ Cambodians, homosexuals and people who had come from urban communities. They even regularly purged within their own organization. No one was safe under Khmer Rouge rule. People were divided into two categories: the Old People who had grown up on farms and never left them for the big cities, and the New People who they ruled using the motto “To keep you is no benefit. To destroy you is no loss”. After four bloody years in power, they were removed in 1979 by the Socialist Republic of Vietnam. More than 2 million people were killed. 2 million. There is no exact number yet. They are still counting the dead. Pol Pot, Brother Number 1 (the leader of the Khmer Rouge), died on April 15, 1998 and was never put on trial. In 1997, Cambodia appealed to the UN to set up a genocide tribunal, but it wasn’t until 9 years later, when many high ranking officials were dying of old age, that it actually came into being. In 2007, Nuon Chea, Brother Number 2, was taken into custody for “alleged crimes against humanity”. The country is now in the midst of rebuilding itself socially, economically and most importantly, psychologically. Like many countries in South East Asia, Cambodia is turning to tourism as a financial way to rebuild their nation, and it seems to be working. 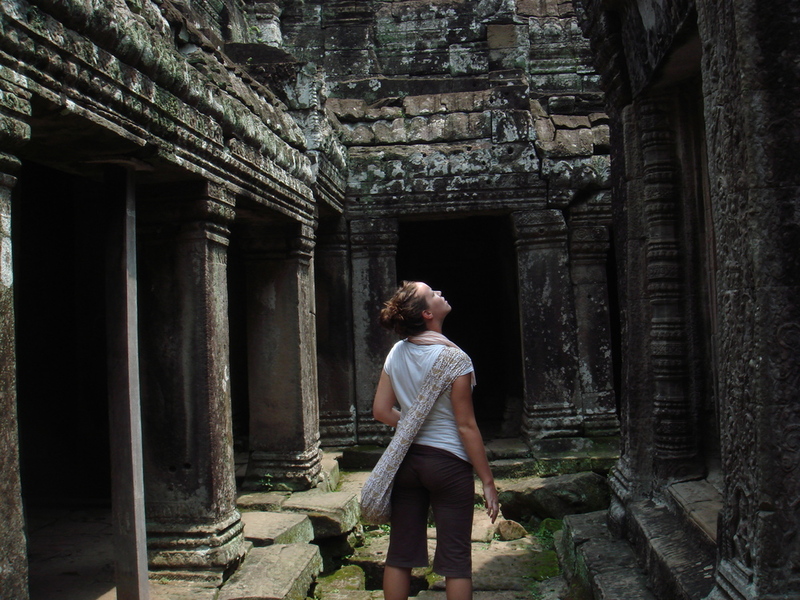 The temples at Angkor make up the largest freestanding religious complex in the world, and are visited by thousands of people every year by boat, plane, bus, car and tuk-tuk. There is nothing like walking through a ruined temple being both held together and torn apart by the jungle growing on, over and through its walls. At the end of the day monkeys run by as the air cools, and monks in saffron robes walk slowly and thoughtfully down the ancient stone corridors. It is definitely a sight to see, and one of the most incredible spots I have ever travelled to. 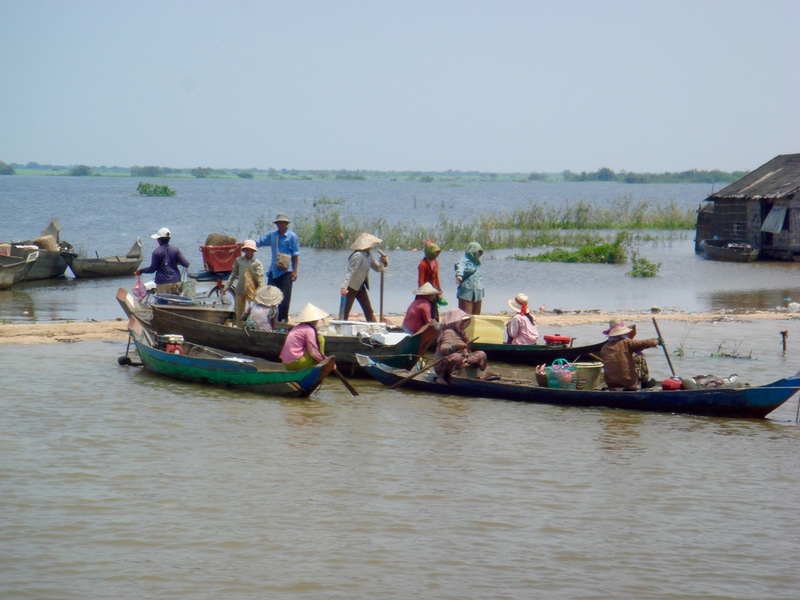 But, there are other things to see in Cambodia too! 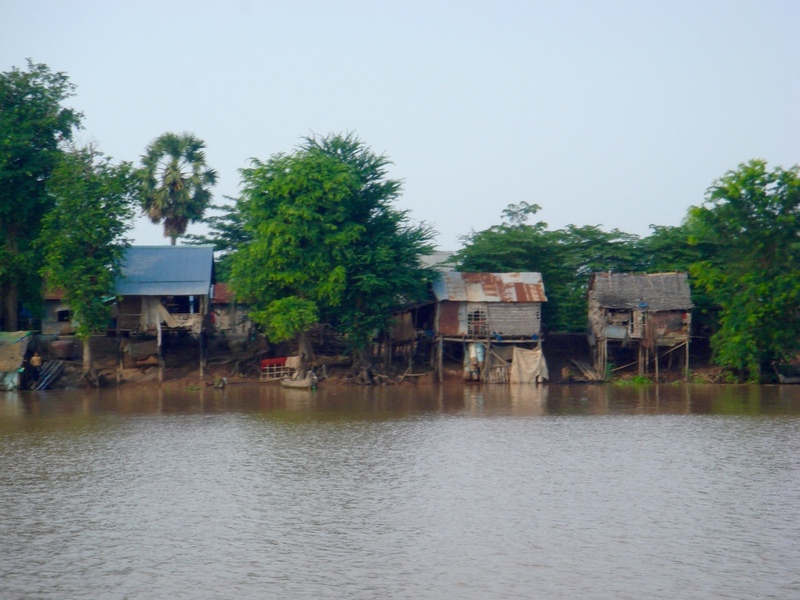 The Mekong River is one of the largest in the world and is the home of some of the world’s only freshwater dolphins and floating villages that are a photographers dream. Phnom Pen is a mecca of colorful markets selling clothing, fabric, shoes, jewellery and anything else you can imagine (and things that you can’t) for pocket change. A trip to Cambodia could not be complete without a trip to the beach! Shianokville is the main beach town with great access and wide range of accommodation. The sand is white and the water is the perfect temperature. 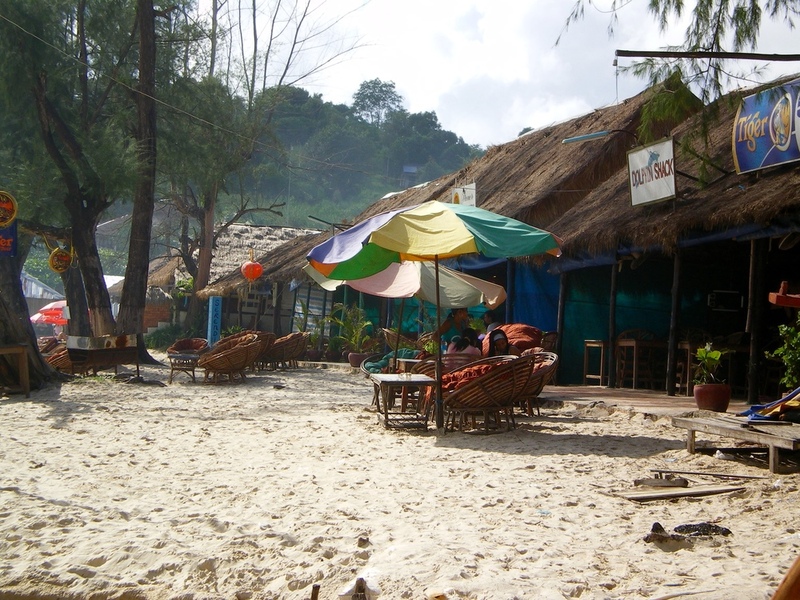 It shares its coast with Thailand, and the beaches are much the same, but underdeveloped. Other (more serious, yet important) attractions draw attention to the Khmer Rouge era. The Tuol Sleng Museum sits innocently amongst narrow side streets, apartment buildings and houses. Once a high school, it was converted into the largest centre of detention and torture in Cambodia. Named Security Prison 21 (S-21), it now houses a collection of photos of the both inmates, and floors of cells that have been left relatively untouched. 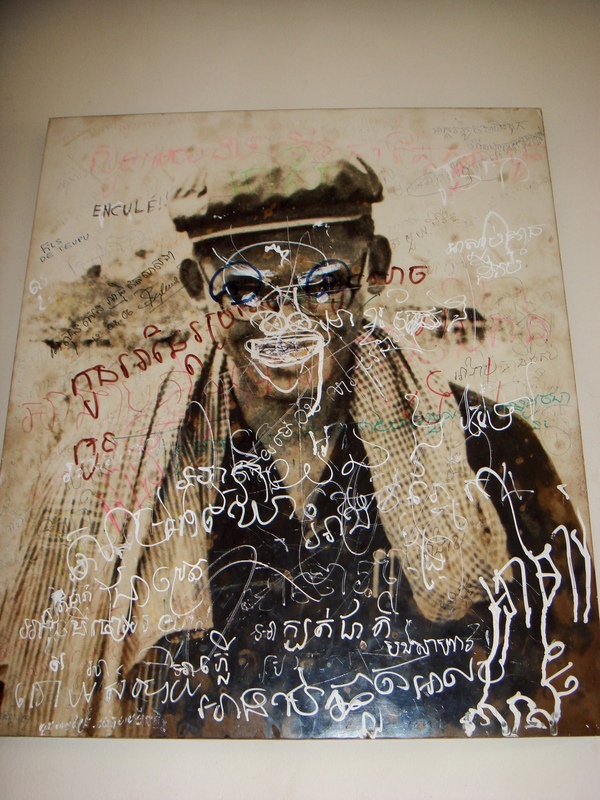 Photos of Khmer Rouge leaders are also on display covered in graffiti, with cigarette burns for eyes. The space on the wall where the photo of Pol Pot should be lies empty. The photo was stolen and no one bothered to (or wanted to) replace it. 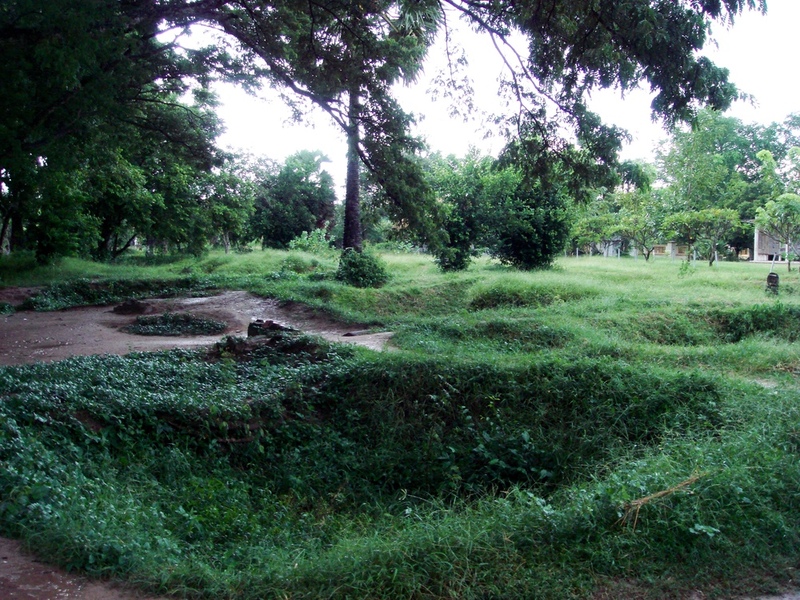 The Killing Fields, located just outside the city, are an unexpectedly small area that is covered in lush green grass. A massive glass pagoda stands at the entrance, piled high with skulls, femurs and other bones of the dead. The fields themselves are just that — fields. Crude signs mark the mass graves, listing the number of dead that have been found there. But not everyone has been removed. Bones protrude from pits and pathways, and the clothes of the dead become visible as the ground erodes away. No matter where you go in Cambodia, one thing stays consistent, the children. They are everywhere. They surround you at the temples trying to sell you anything and everything in perfect English. They flirt like adults and they are so confident and straightforward, that sometimes it is only their size that can remind you that they really are children. They walk the streets hanging off your arms, looking up at you with big brown eyes, begging for food, money or anything. They are heartbreakingly cute. Whatever you do though, don't give them money. It won't help. There are few places in the world that truly surpass expectations, and Cambodia blew all of mine out of the water. I felt all my senses heightened when I was there, and found the adventure exhilarating. I hope you feel the same way — happy travels! What's a UNESCO World Heritage Site Anyway? Looking for more posts about exciting destinations? Subscribe to The Anthrotorian's Newsletter!